Los Angeles rapper Hopsin – aka Marcus Jamal Hopson, the musician, producer and actor who has been labelled "a black Eminem" – is on the phone to Shortlist and he is worried. Last month, on his 29th birthday, he released the seventh (and most dramatic) chapter in his epic Ill Mind series of songs, a searing confessional about losing his faith that has so far attracted more than 4.7 million views on YouTube. It has also attracted heavy criticism. As with most of Hopsin's music, his thought-provoking rhymes are delivered with a rawness and desperation absent from most other recent hip hop. Those qualities led influential XXL magazine to select him for the cover of its 2012 "Freshmen" issue, alongside Iggy Azalea and Macklemore who have both gone on to superstardom. In the self-directed Ill Mind of Hopsin 7 video, the shirtless Hopsin looks skywards and shouts angrily: "You gave me the Bible and expect me not to analyse it?" Then: "I'm not reading that motherf---ing book because a human wrote it. I have a f---ing brain, you should know it, you gave it to me to avoid every useless moment." 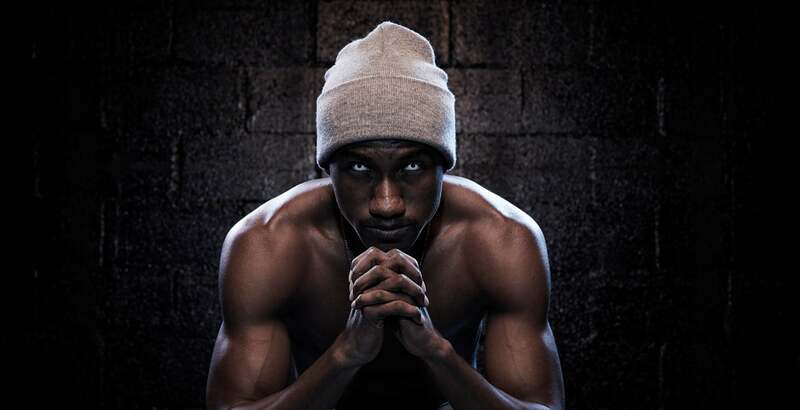 Back on the phone, Hopsin confirms he lost his faith, but regrets releasing the track. "The song is really touchy and I didn't want to put it out," he said. "I don't really know why I did it and I might take it down. "I know that it is stirring up a lot of controversy. I feel like I'm walking a tightrope because it's about God and I want people to understand it's not a satanic song saying I hate God. It's a song reaching out to God." He has received mostly positive feedback but avoids reading comments posted on his YouTube clips (nearly 39,000 for Ill Mind 7). "My feelings get hurt very easily ... the moment I start looking at the comments [I read] something that's going to rub me the wrong way and I'm going to want to respond." It is not often you hear a musician admit to such sensitivity. At one level it makes sense: Hopsin's stock-in-trade is brutal honesty (2012's Ill Mind of Hopsin 5 was a similarly uncompromising broadside – at lazy urban youths – and was played 40 million times). But it is a tough path for a thin-skinned artist. Wouldn't it be easier to rap about girls, guns and money like other rappers? "I would love to rap about women, every guy would. But I also see how it destroys youngsters' minds and they get the wrong ideas about life when they hear songs about drugs, money and women. "I want to show people the real way to success, not the fake way. I don't want to brag about stuff. I don't have [or] paint a fake image [about] how life really is."